Cash for Cars in Vermont - We Buy Cars Fast! The process of selling your car in Vermont is similar to the famous Vermont marble, it's extremely tough and can last forever. Most buyers have strategic sales tactics to make sure they get that car you're selling for as cheap as possible. You need a buyer that is ready to make a fast and fair offer to help turn that unwanted or less-than-perfect car into quick and easy cash for your pockets. You need a buyer like CarBrain. We’re the smart way to sell your car. Our dedicated team is here and ready to help you. We’re prepared to make an offer on most makes and models in just 90 seconds. If you agree to our offer, we’ll even deliver the payment to you and tow it away for FREE in just 24 to 48 hours. All this can be done from the comfort of your home. Simply click here to get started today! CarBrain is partners with some of the biggest tow companies in the business today. We have a large network of drivers just to ensure that we can pick up your car near Burlington, Essex, South Burlington, and other areas near you! Whether it’s at home, your workplace, the repair shop, or most tow truck-accessible areas, CarBrain is ready to pick up that car and get you paid! Get started today and sell your car the smart way. Click Here. Selling a vehicle in Vermont is harder than you might think. Although you may see an abundance of buyers in the business today, they may not be the best option. Some only buy wrecked or totaled cars, while others only buy cars with mechanical issues. Of course, you also have buyers that only want clean, used cars with no issues. The first step in selling is to acknowledge the car you have and present it to the right buyer. Most shops only give estimates if car is present. If your car doesn't run, you will spend hundreds of dollars in towing. Repair estimates are never 100% accurate and the true repair cost is unknown. You run the risk of spending more than the car is worth. Buyer come in different types like private buyers, for example. The moment you post your car for sale on the local classifieds, you’ll notice that your phone will get swarmed with strangers calling and texting you at odd hours asking to meet. Imagine how many buyers you'll have to meet with just so you can go back and forth with haggling. It always ends with some low-balled offer. Most dealers require you to buy a car from them. If you don't haggle, you won't get a fair deal. Dealer fees will add to your final price. If your car isn't in good shape, they may not purchase it. Last but not least is the local scrap and junkyards with their ‘cash for cars’ deals. Unless you have a car with nothing left but the metal it's made of, they may not be the option for you, These places will pay the least amount possible and they do not care for any premium options your car may have. Bottom line is if you need to sell your car, then visit CarBrain. We’ve introduced the smart way to sell your vehicle. For most cars our system is ready to make an offer in just 90 seconds! And we’ll deliver the payment to you and tow your car for FREE in just 24 to 48 hours. See why we’ve been recommended by thousands of customers. Simply click here to get started today. Finding the right buyer is just one of many tasks when selling a car, especially if you want to lock in the best offer for it. While every buyer is looking to buy different types of cars, there are a few things that every buyer looks for in car. If you make sure to prepare your car before a buyer sees it, that can help you seal in the best offer when they are ready to buy. Have required documents ready. If these documents are missing, then the buyer cannot transfer the car into their name. Most state documents can take over a month to get a replacement title and by that time the buyer could have withdrawn or reduce their offer. In the state of Vermont, all you need is a title and valid ID to sell your car. Have a set of keys. Whether the car runs or not, it must have a set of keys. Without keys the buyer cannot attempt to start the car to see how it sounds and some keys can cost hundreds of dollars to replace. Missing keys will have a negative effect on the offer. Maintain the car intact. Whether your car was in an accident or just damaged mechanically, do not remove parts that make the vehicle roadworthy including the engine, transmission, wheels, and battery. The more incomplete your car is the lower the offer will be. 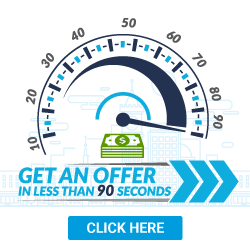 We can make you an offer in just 90 seconds. Get started today - Click Here. Here at CarBrain. we know that the competition will do whatever it takes to get that car for bargain off you. And that's why our dedicated team of buyers with over 30 years of experience in the car business has developed the CarBrain price engine. It's an interactive pricing system designed with you in mind. For most makes and models, it will only take 90 seconds to get an offer! We’ll deliver the payment into your hands and tow the car for FREE in just 24 to 48 hours. If you're ready to turn that unwanted or less-than-perfect car into fast cash, head over to CarBrain. We’ve simplified the way to sell your car and we can get you a fair offer for your vehicle today. Through our easy step-by-step process, you can have an offer for your car in a timely manner and we will tow it for free in just 24 to 48 hours. We will tow your vehicle for free to any of our Vermont locations. What should you know before selling to a junkyard or private buyers in Vermont?